This Friday’s Dance Downtown is K-Pop! That’s right friends, I said K-POP! 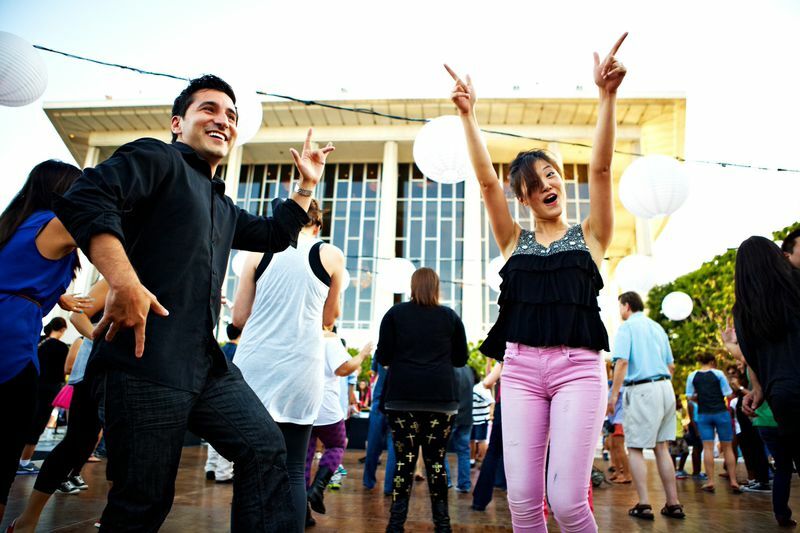 The hallyu is heading to The Music Center plaza from 6:30-10pm this Friday and will feature dance moves taught by Aimee Lee Lucas, and sets by DJ Cy with all your favorite k-pop tunes. Whether you’re big into K-Pop or new to the hallyu (which refers to the wave of Korean culture sweeping the globe) we’ve put together a quick prep-list to get you ready for the fun…. Obviously, K-Pop wouldn’t be K-Pop without some really catchy, poppy tunes, and trust us, there are plenty to go around. Listen to our K-Pop Playlist below to acquaint yourself with a few of the most popular songs of the moment! It’s hard not to smile when listening to K-Pop, but here’s just a reminder – Like all good pop music, this genre and dance style is all about having fun. So when you’re taking the dance floor on Friday with your friends, don’t be afraid to drop your guard and free-style! Pretty much anything goes, but we will have our instructor there to lead you through some of the most popular moves. The only pre-requisite is a smile on your face! See you at K-Pop Night!